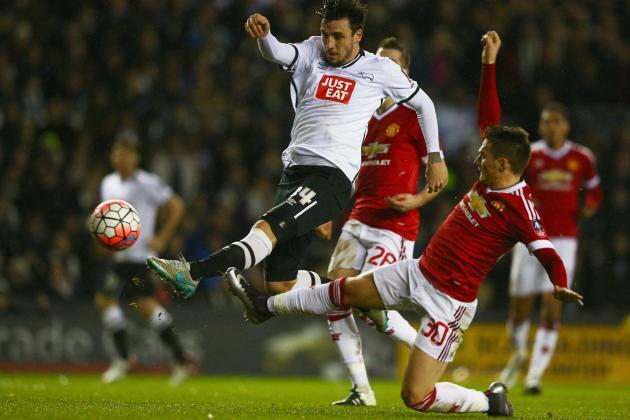 Manchester United faced Derby County at home in the FA Cup third round match, Friday night at Old Trafford. Jose Mourinho will be keen for his players specially after the reds ended a four-game winless run when they defeated Everton 1-0 on New Year's Day. TV: BBC One in the UK. Romero' Lindelof, Jones, Rojo, Shaw; Herrera, Matic, Pogba; Lingard, Rashford, Martial. Carson; Wisdom, Keogh, Davis, Olsson; Huddlestone, Johnson; Weimann, Vydra, Lawrence; Nugent. No Comment to " Manchester United vs Derby County live stream info "